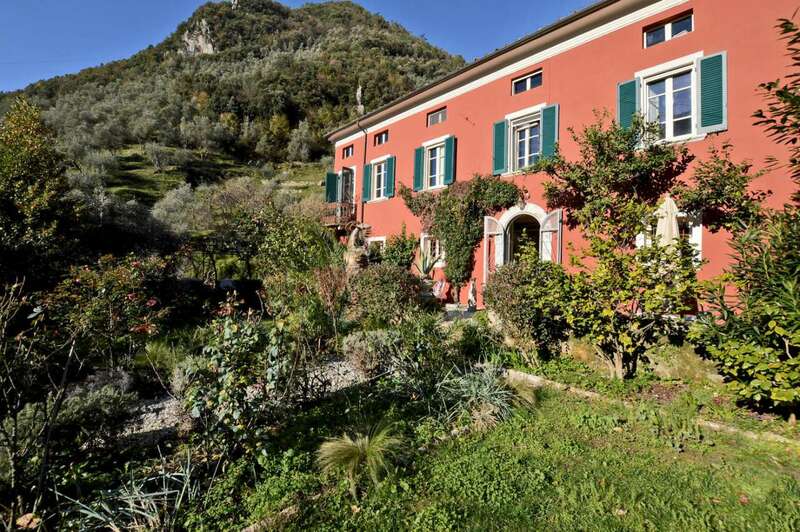 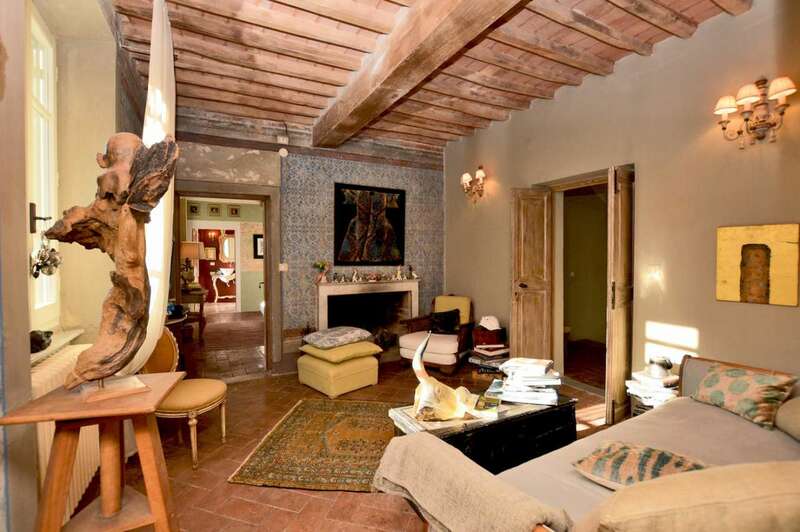 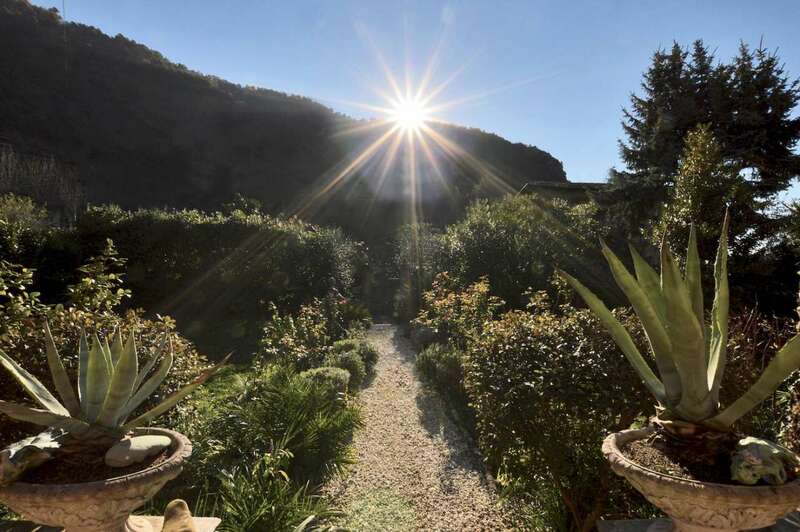 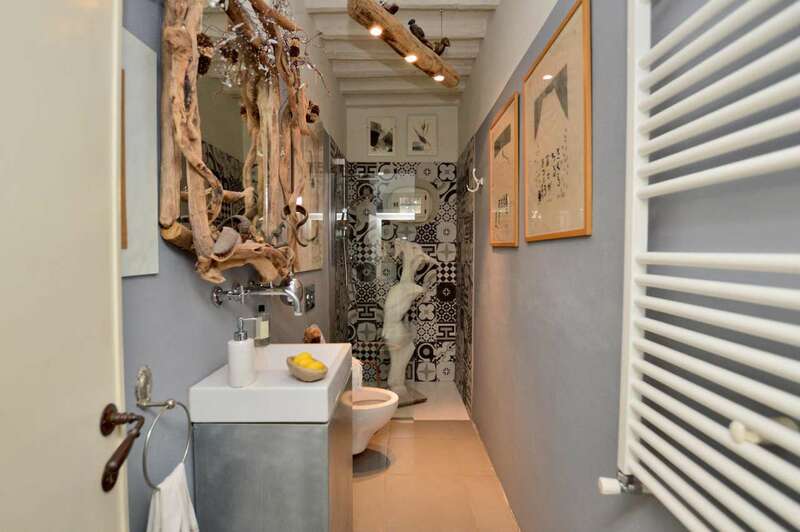 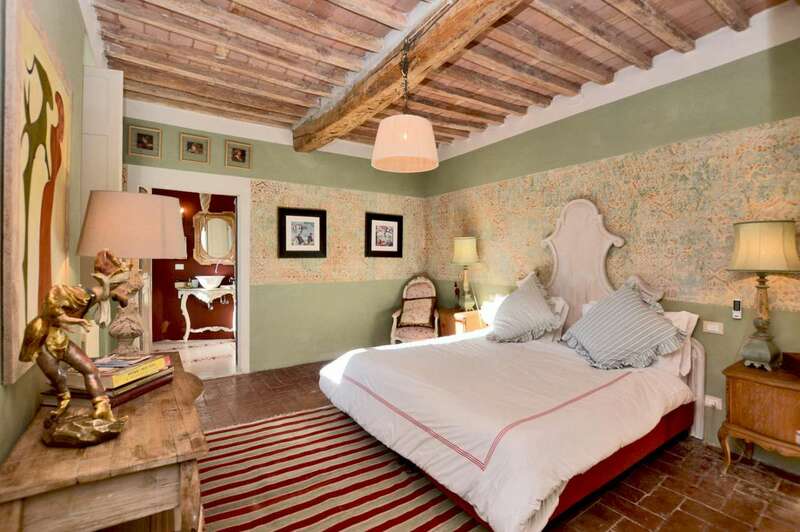 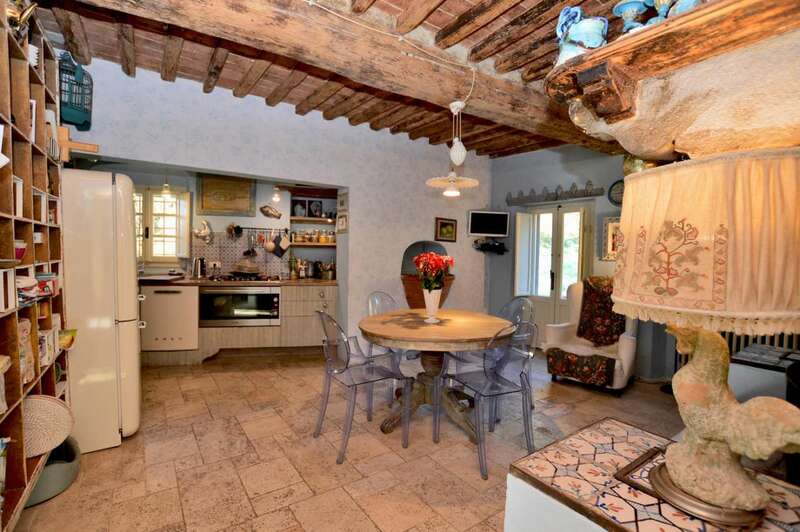 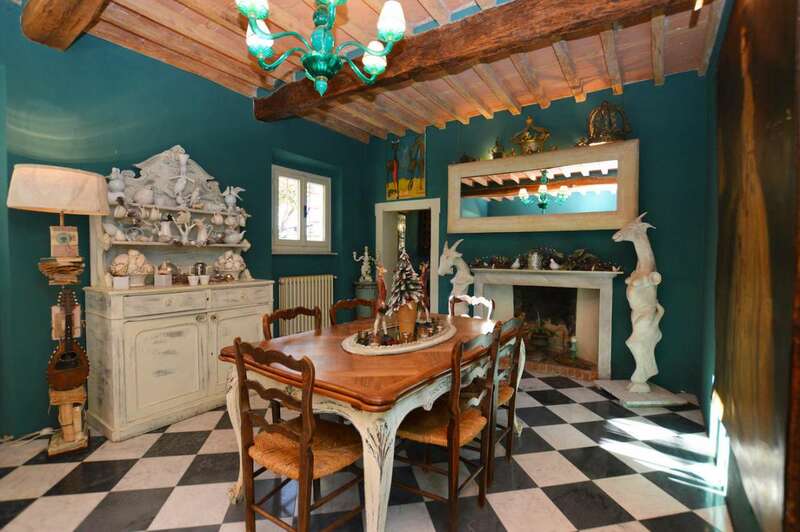 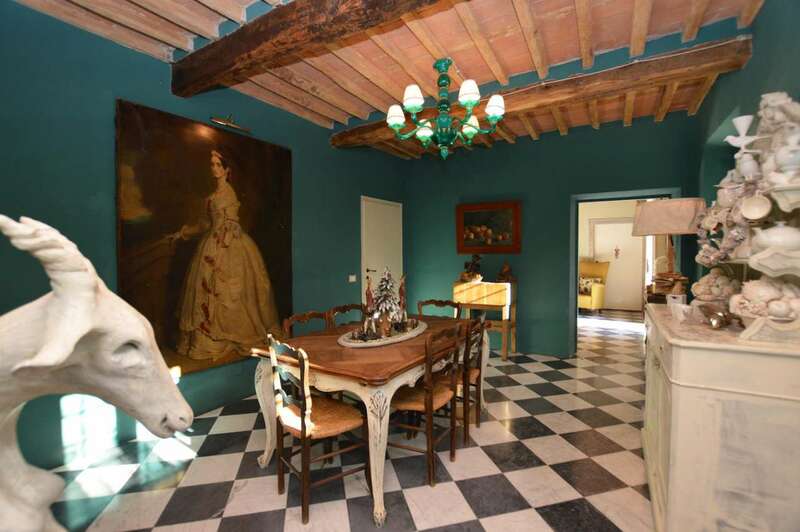 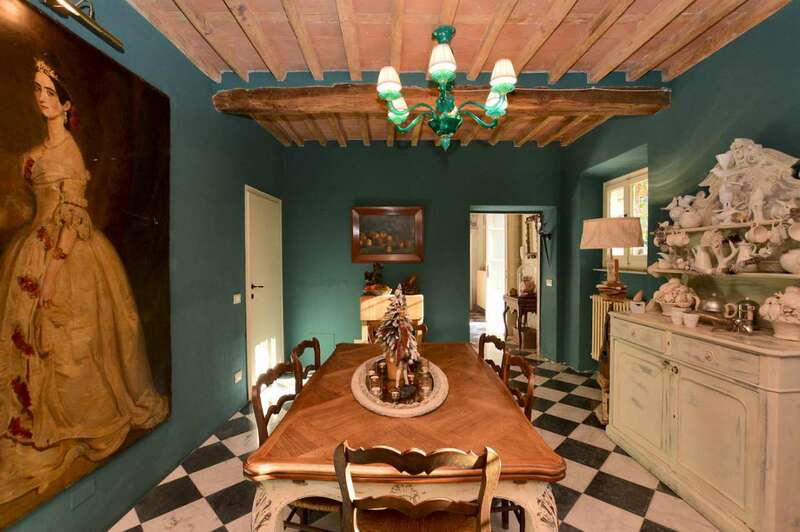 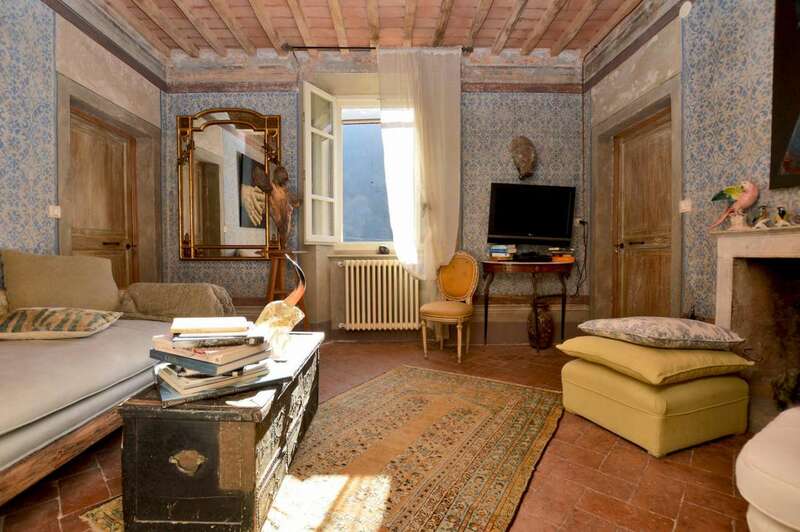 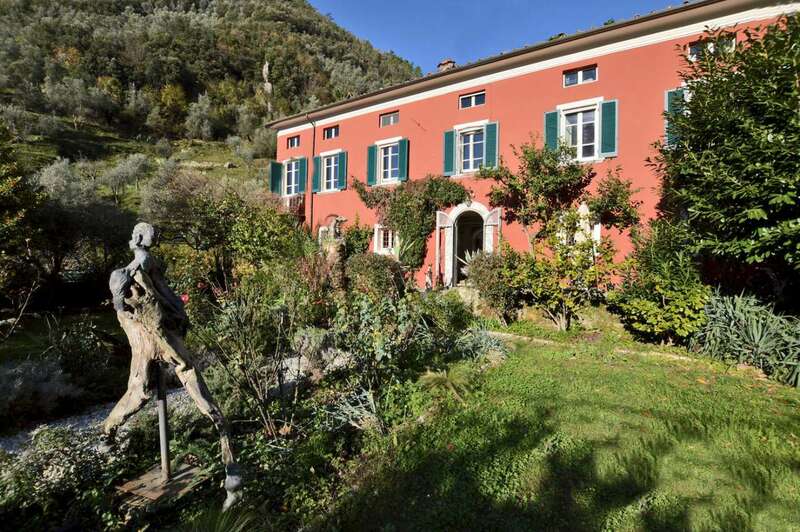 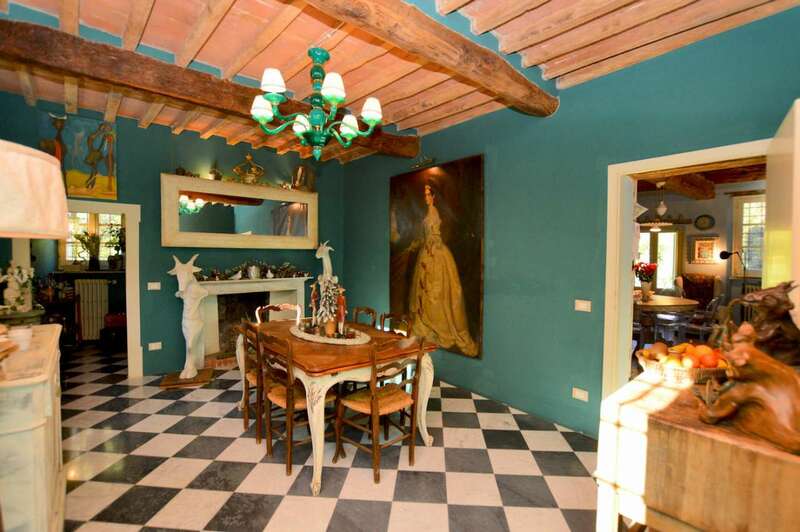 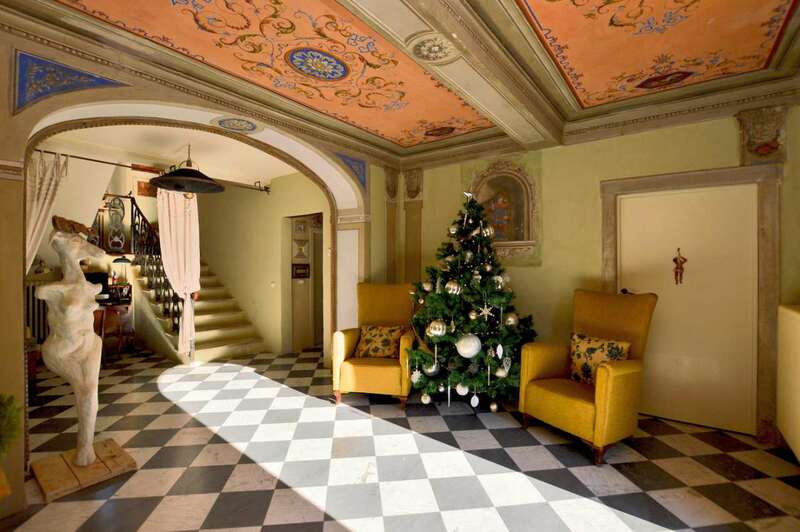 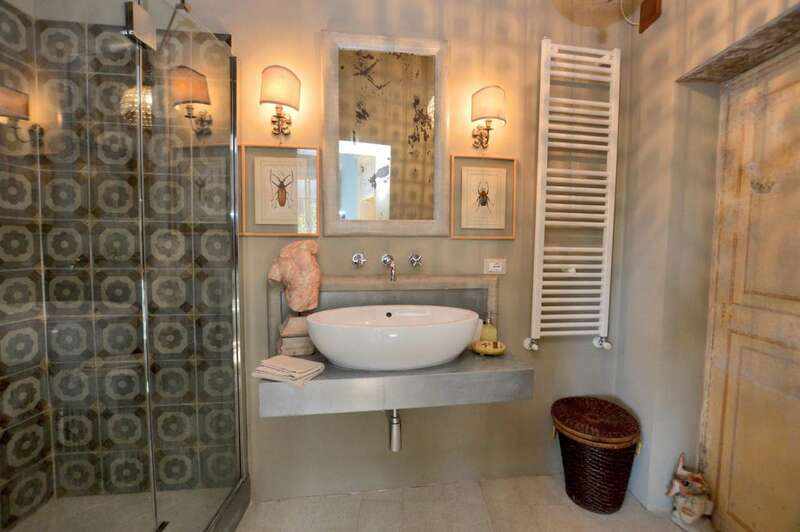 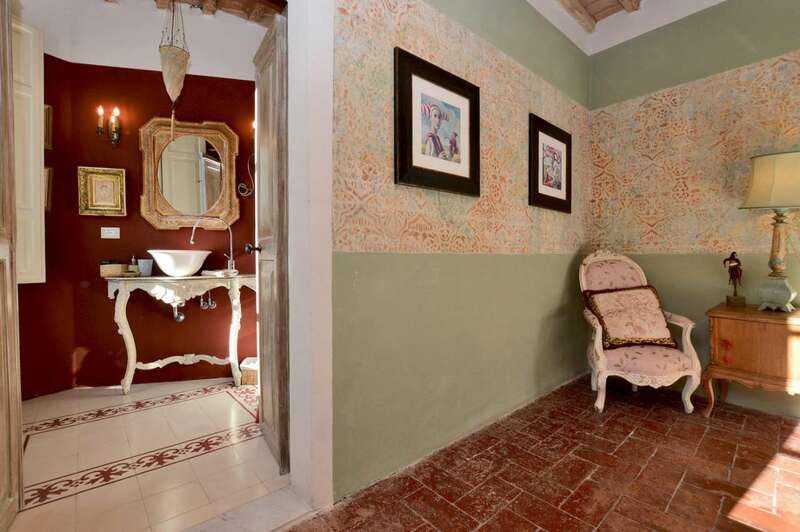 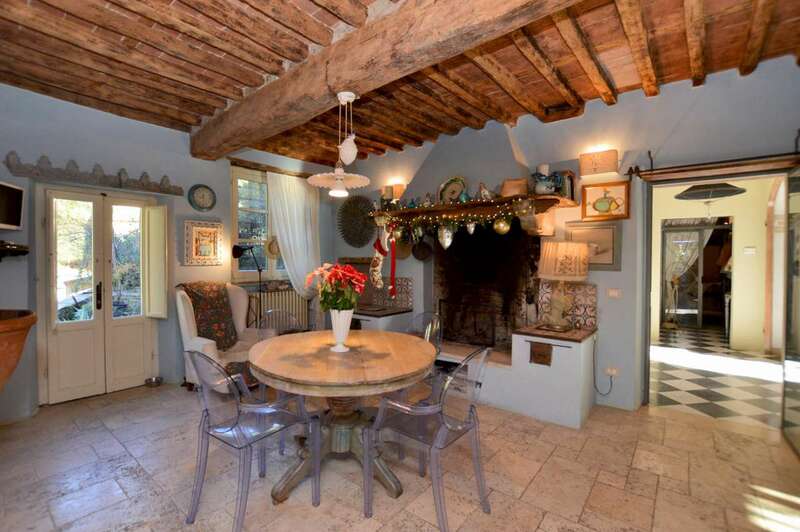 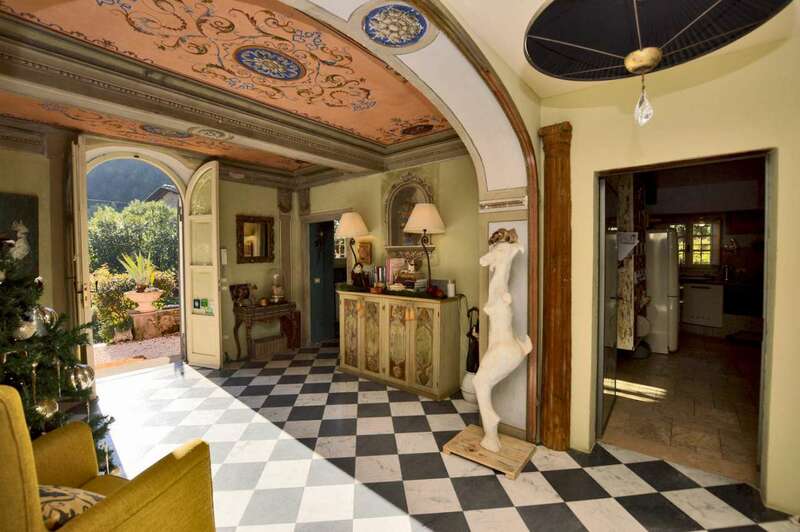 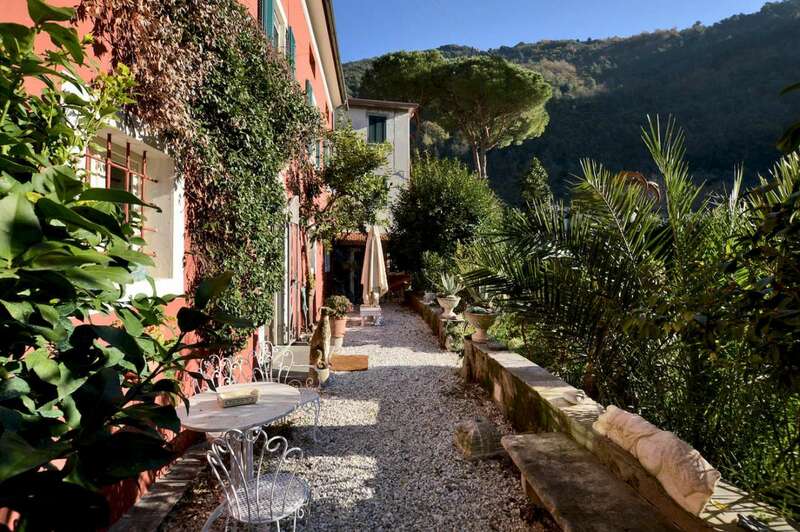 Wonderful 8 bedroom villa located in Pietrasanta, currently used as a guest house, ideally located in a small village just 2.5km from the historic centre of the renowned and artistic town of Versilia. 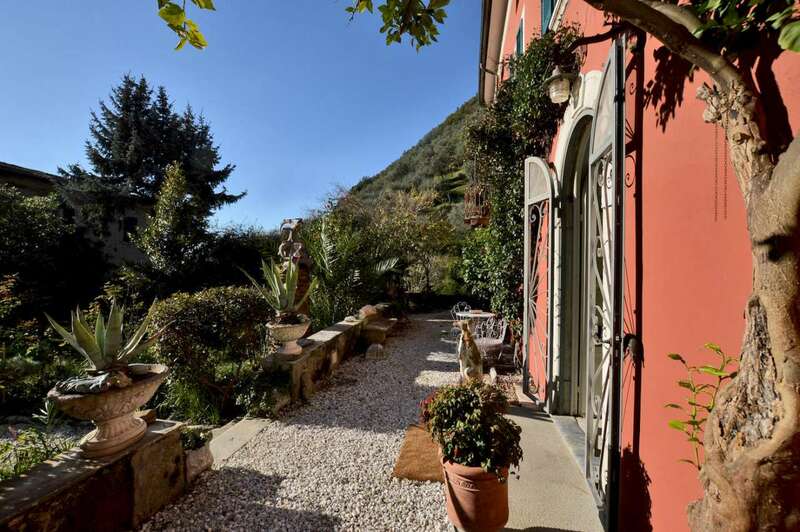 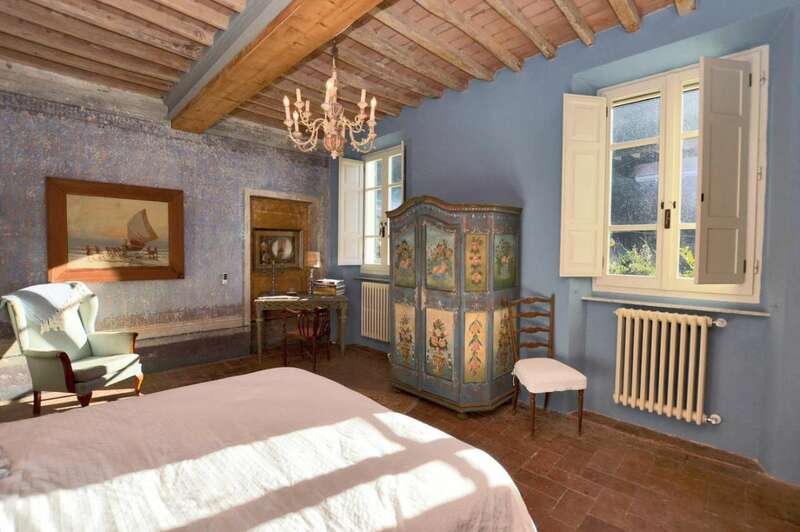 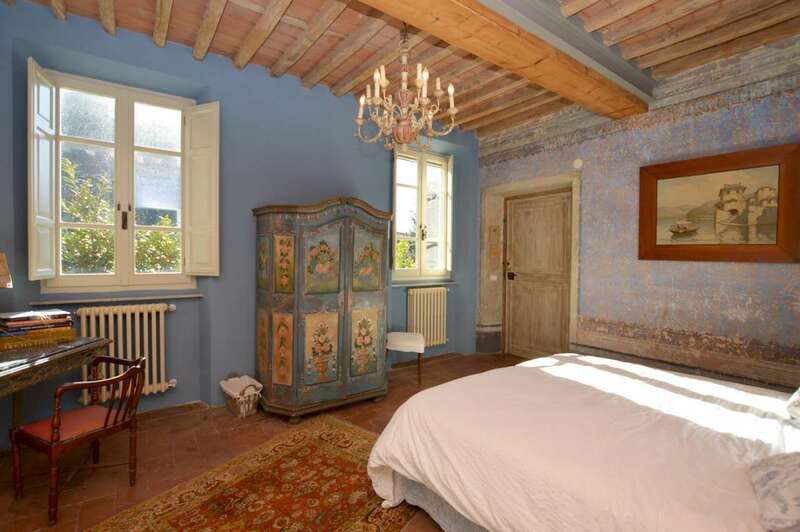 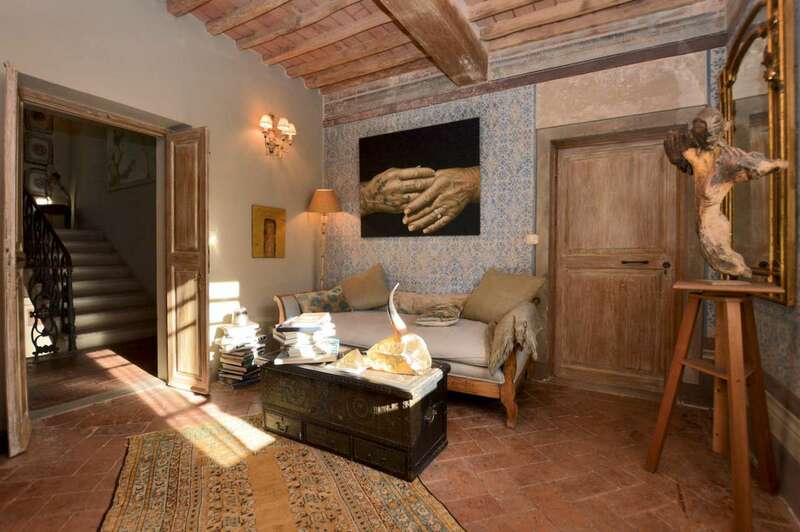 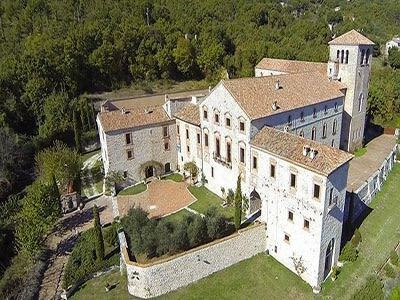 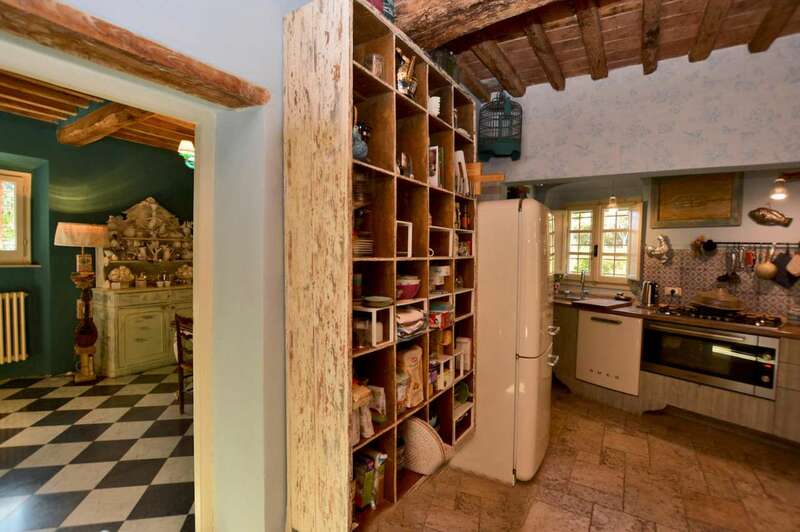 This superb villa, which dates back to 800, was completely and tastefully renovated in 2010 and is in excellent condition throughout, whilst beautifully maintaining its warmth and charm of classic Tuscan country homes and with a combination of the most modern technologies and comforts. 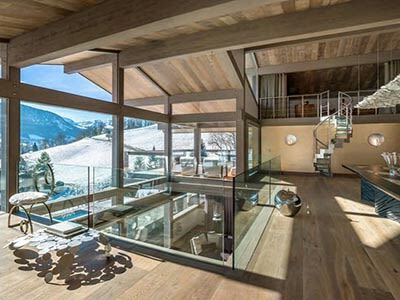 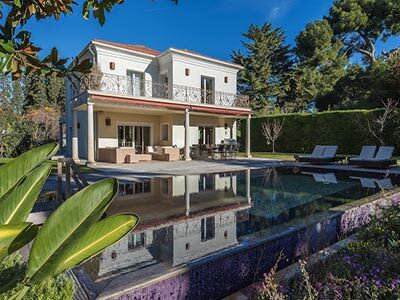 Spread over 3 floors with a total living area of around 550m2 and with a delightful landscaped garden which is divided into 2 areas. 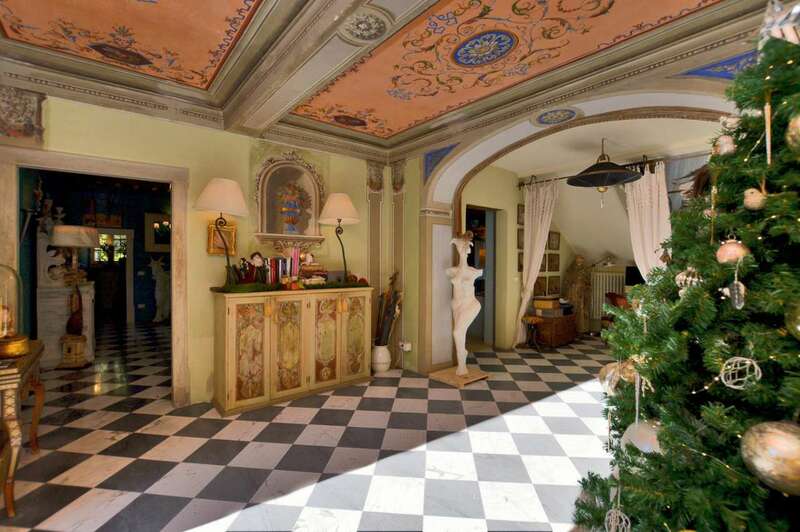 Ground floor: entrance hall with two-tone marble floors and frescoes on the ceilings and walls; office; spa area with relaxation area, sauna, Jacuzzi and bathroom; beautiful dining room with fireplace; large and charming kitchen dominated by a large fireplace and with an attached functional food storage area and access to the back garden with a large pergola with barbecue area and wood oven; laundry; deposit and the thermal power plant. 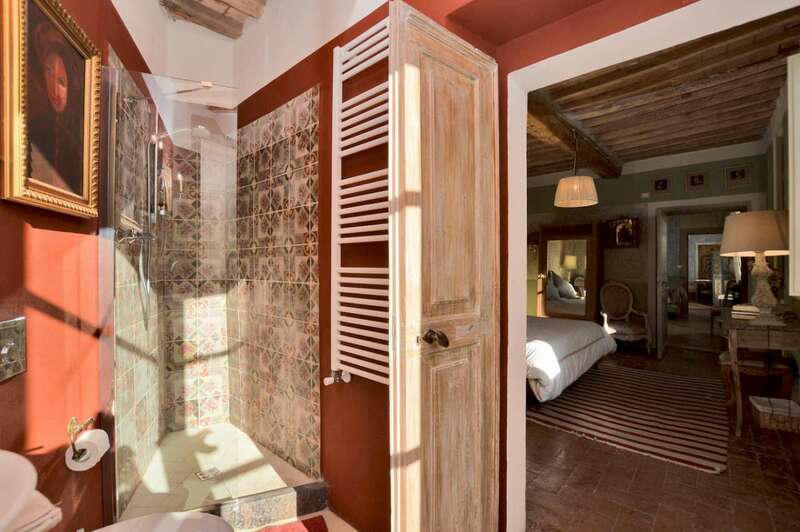 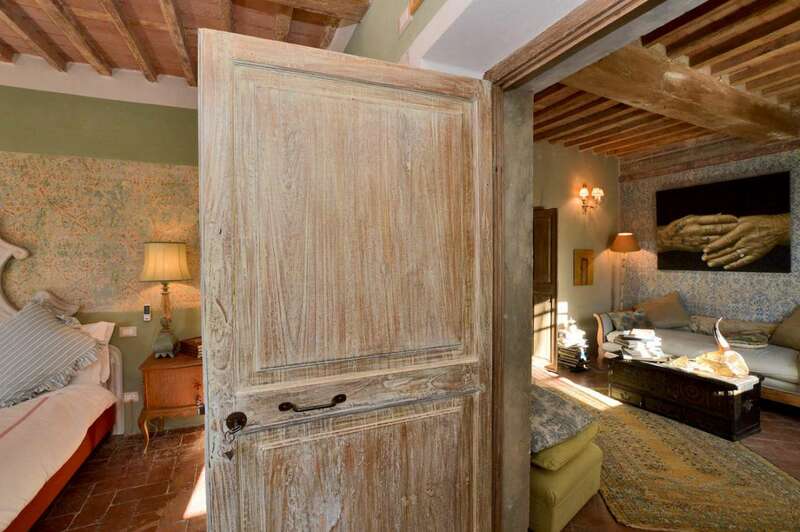 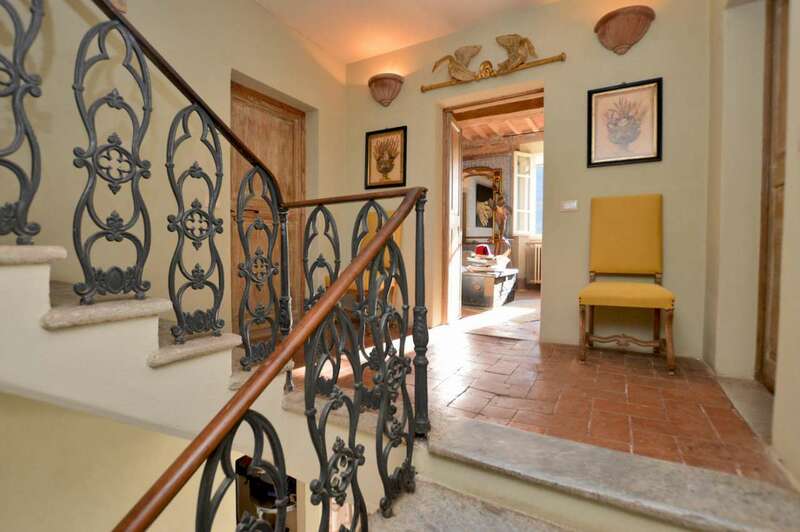 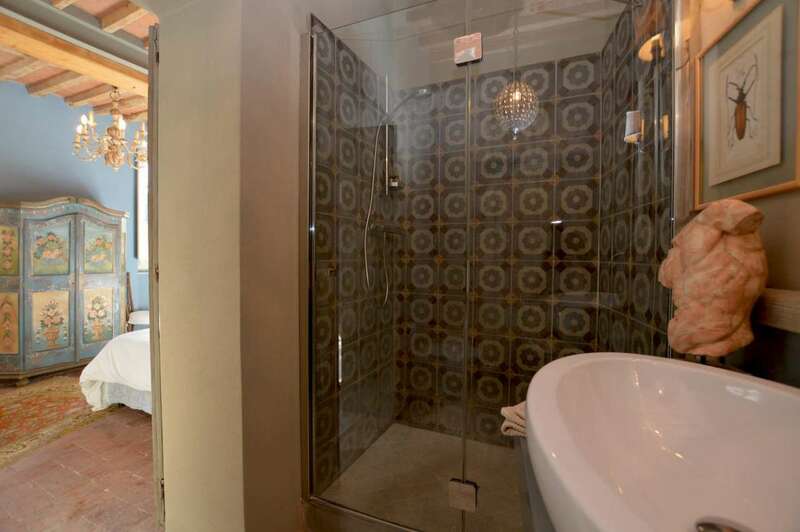 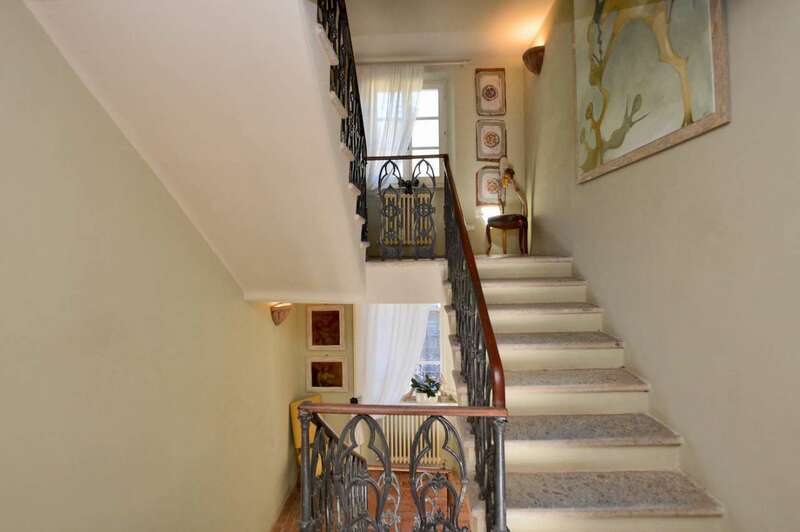 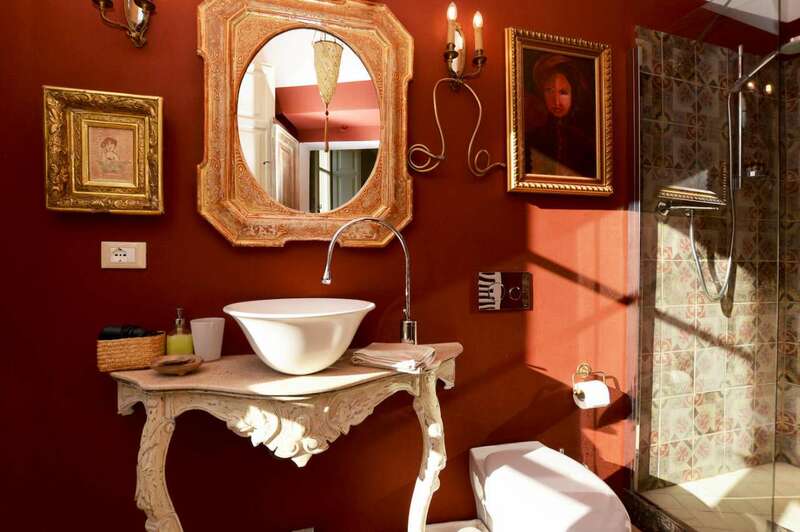 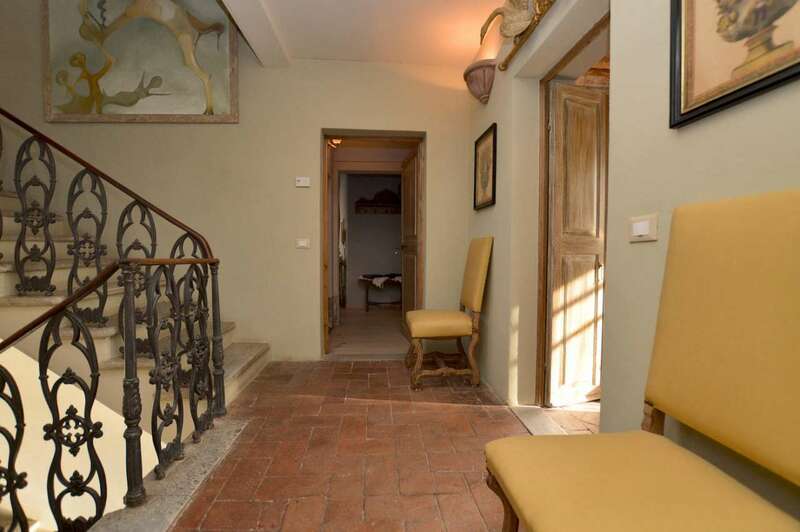 First floor, which is accessed via a splendid stone staircase with wrought iron railing and wooden handrail: This level also features terracotta floors and exposed wooden beams: living room and 4 very special double bedrooms all with en-suite bathrooms. 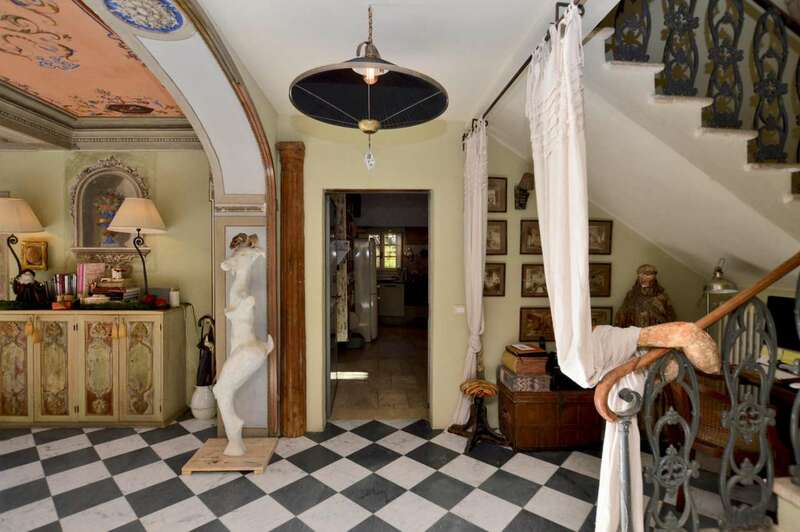 Second floor attic: bedroom with en-suite bathroom. 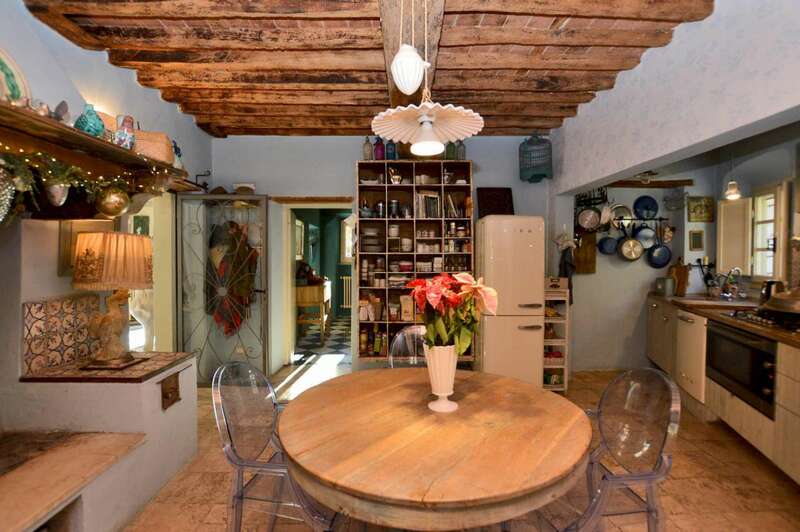 Independent apartment with a large living room and 2 double en-suite bedrooms. 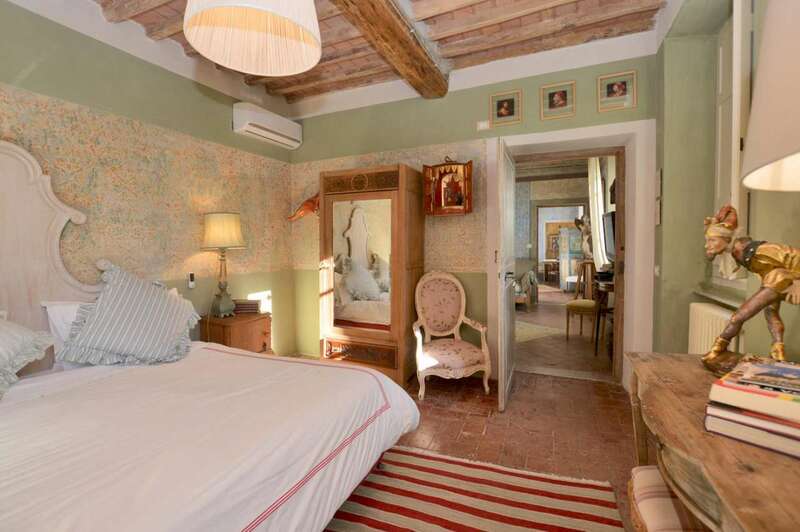 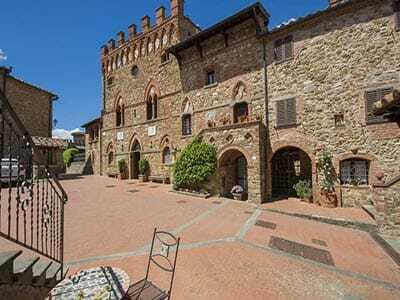 Area used as private accommodation for the managers of the current structure used as a B&B. 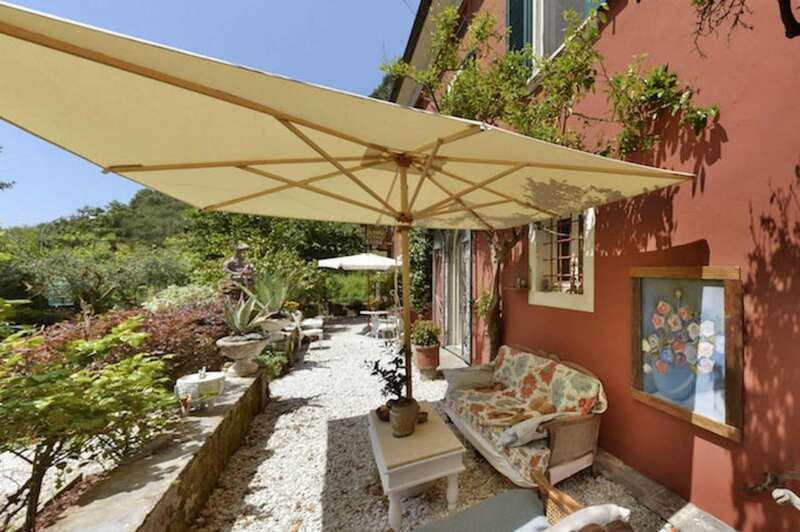 Outside: garden facing the villa; ample room to install a swimming pool. 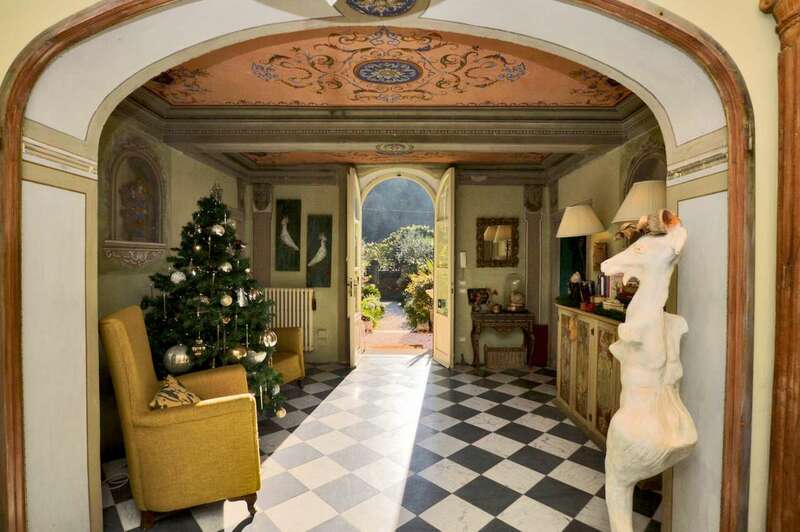 Various fruit trees, including lemon trees of different sizes; numerous and fascinating sculptural works and a pergola which is covered in wisteria.